MOON AND PLANETS THIS WEEKEND! Mars has put on quite a show in 2016, and the year ends with an extended “visitation” with the bright planet Venus. Spot these blazing “stars” as the waxing crescent Moon passes by this weekend. 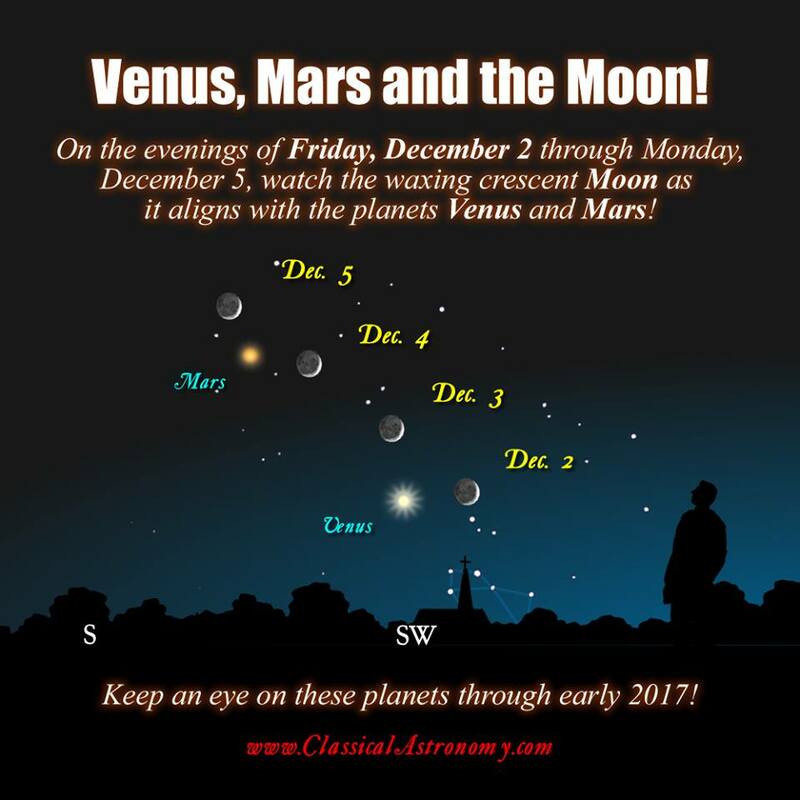 And then keep your eyes on Venus and Mars as they draw closer and remain close until February, 2017. These planets will not have a conjunction in longitude, since they will draw apart before that happens. But astronomers call such a “close but no cigar” alignment an “appulse.” They have a language all their own, them astronomy types! And there’s always someone who says it, so I’ll say it first — yes, Venus and Mars are alright tonight!